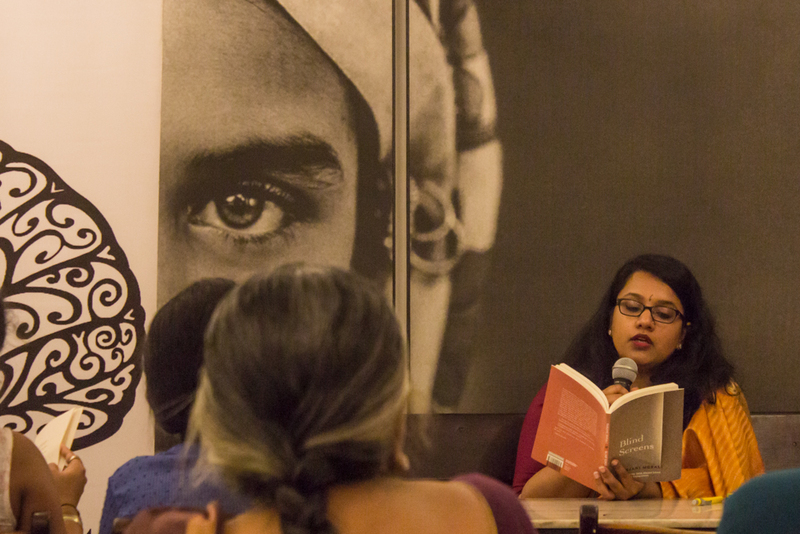 Chicago-based poet Ranjani Murali was presented during the first edition of Poetry with Prakriti’s all new Monthly Series. 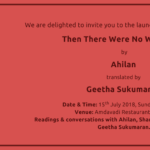 She read excerpts from her book Blind Screens that revolved around nostalgia of growing up and living in Chennai that was Madras. Ranjani Murali also conducted a workshop the following day. 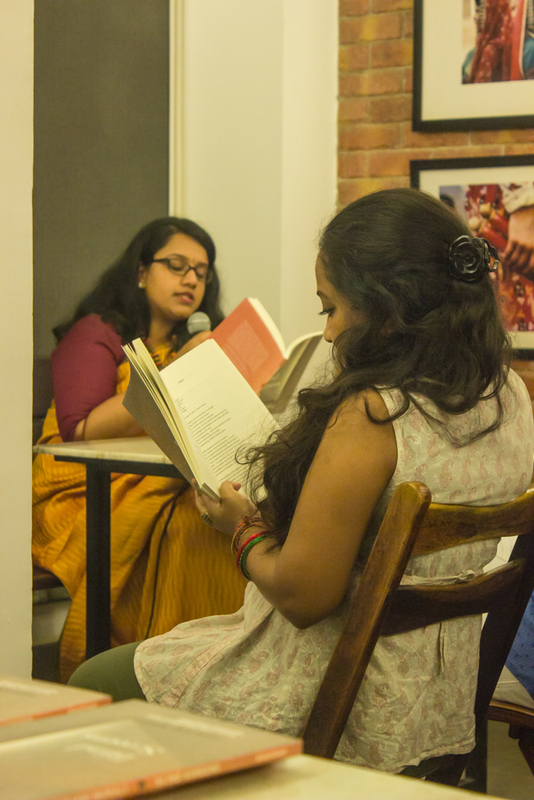 She presented a brief poetry reading session followed by a poetry workshop on analysis and reflections of post-colonial poetry. This was conducted for the third year students of the English Department at the Anna Adarsh College. 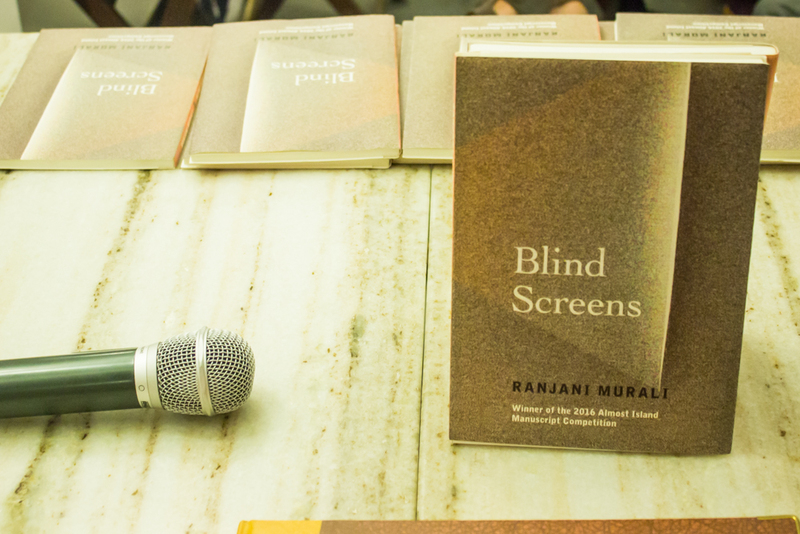 Ranjani Murali is a Chicago-based writer and artist. She received her MFA in Poetry from George Mason University in 2010. She currently teaches writing and literature at Harper. She is the recipient of the Kay Evans Poetry Fellowship from the Vermont Studio Center. She also received the Fine Arts Work Center’s Archie D. and Bertha H. Walker Foundation Scholarship in Nonfiction. 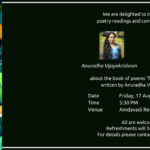 Her poems and translations have appeared in Phoebe, Word Riot, Eclectica, and a variety of acclaimed Indian journals and anthologies. Her second manuscript won The Great Indian Poetry Collective’s (GIPC’s) Editor’s Choice award and will be available next year. 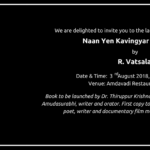 Book Launch | Naan Yen Kavingyar Aagavillai?